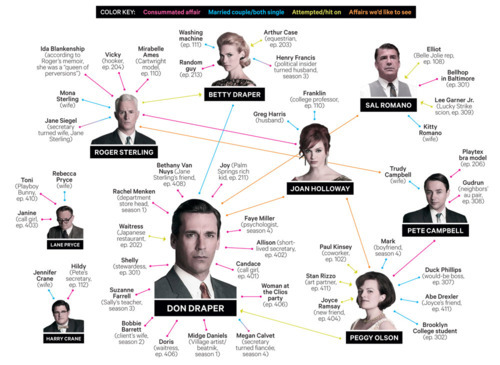 Mad Men Hookups In A Handy Infographic. Who Knew? In the meantime…Betty’s Back, Don’s Back!!! 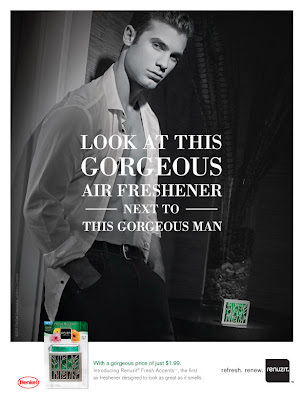 Renuzit, an air freshener brand owned by Henkel in the US, blatantly follows the Old Spice route, with an attempt to reach their female target audience through scantily clad, muscled men. It probably works (awareness may lead to brand purchase during shelf selection) but with so many brands going back to the old Mad Men era sexual advertising, audience fatigue is bound to set in soon. Almost 90% certainty that in Nigeria, if you randomly run into another 1 individual they don’t have the same mother tongue as yourself. Interesting. 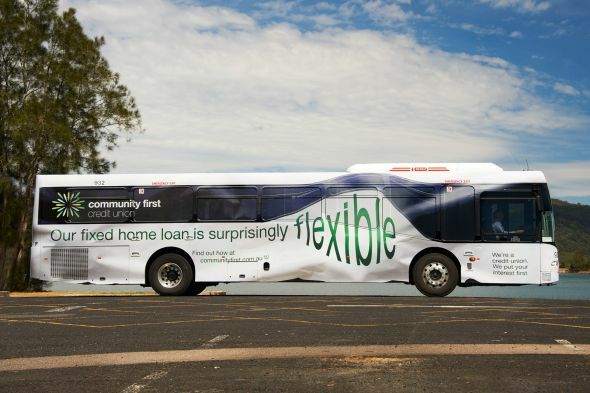 There’s a print or tv ad theme lurking within this fact…. Target Knows Before It Shows! Are you buying more lotions? Vitamin Supplements? How about extra sanitizers and cotton balls? Then Target thinks you’re pregnant! Through it’s impeccable data collection analysis, Target is actually able to determine if a consumer or regular shopper is pregnant and how far along she is and thus are able to send direct marketing flyers and discount codes to expectant mothers, without them even knowing about the…well, targeting. In the US, the giant retailer started sending a young teenager pregnancy related mail and her father being so upset at the influx of pregnancy-related stuff, marched down to Target to give them a peace of their mind. Upon getting back home and discussing with his daughter, he finds out that she really WAS pregnant. With 90% accuracy reported, Target actually broke the news to this unexpected grandfather-to-be! And if this isn’t the stuff of ’90s male dreams! 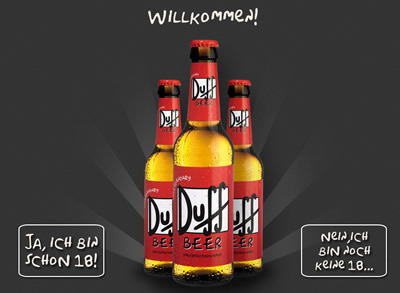 Duff beer goes on sale in the UK. The less than 5% alcohol lager has been on sale in several markets in Europe but will hit the UK market later this year. D’oh! Coconut water the new frontier in beverage war. French fries with your McBaguette? McDonalds localizes it’s France offerings. New York Times discusses data implosion in our new world and how data analysts can cash in. Heineken (Nigerian Breweries) to sponsor five lucky fans to Munich finals. PepsiCo launches new mid-calorie brand PepsiNext. Multichoice Nigeria invests $30 billion in local mobile television market. Chivita launches smaller pack aimed at university students. Associated Press (AP) changes logo for the first time in 30 years! 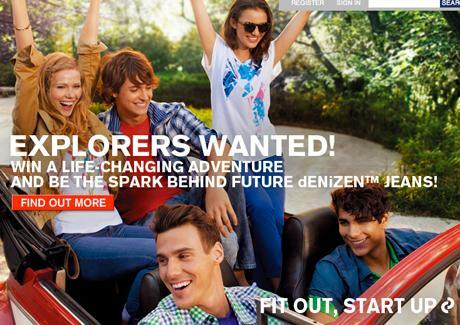 How else can you capture youth attention in the denim world? Create an adventure/DIY/reality show campaign that’s hard to ignore! Denizen brand selects winners who they will send to different countries (where their brands are sold of course, but still…). Cameras follow and the entire promotion is turned into a reality show for others to fawn and gawk and wish over. Hmm, adaptable to this market? 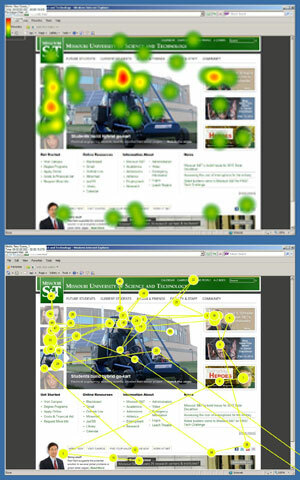 New eye-tracking research at the Missouri University of Science and Technology shows it takes about two tenths of a second to form a first impression about a website. First impressions, of course are extremely important since they determine how long a viewer will linger on the site, search around. Typically, a view will spend approximately 3 seconds scanning the overall web page before fixating on a particular section. The entire process is less than 10 seconds! Important and useful information for marketers and website developers alike. Study can be downloaded here. Unlike the guys at Microsoft Advertising who held a “global” creativity/innovation competition and left Nigeria out of their eligible countries in Africa (Morocco made the list), Google unveiled it’s Zeitgeist Young Minds competition for 2012. If you’re between 18 and 24, just upload your video to enter. Simple! Kudos to Google Africa.